Decisions about buying art are complicated; people are emotional, sensitive and often uptight when it comes to figuring this stuff out, and let's face it, most galleries are not staffed with people who are eager to leap to your assistance. It's said "live with art it's good for you" on the door of my gallery since the day it opened, and yes, I really mean it. Living with art is AWESOME and more people should do it, so I've made it my mission to connect everyone with art they love. When I opened Jen Bekman Gallery in 2003, I had never bought any art myself -- my own walls were bare! Nobody had ever tried to sell me any, which seemed so wrong. Frustrated by feeling excluded from the art world, and some other things I'll get to at a later date, I created the type of place that I would want to buy art from: warm and welcoming, yet professional. Guess what? Sometimes it worked, but I still ended up getting a lot of experience with people not buying a thing, and I had a lot of time on my hands to think about why. Here's my theory: Decisions about buying art are complicated; people are emotional, sensitive and often uptight when it comes to figuring this stuff out, and let's face it, most galleries are not staffed with people who are eager to leap to your assistance. Armed with all this hard-earned knowledge, I created 20x200, which I often describe as the gateway drug of the art world. Which is to say: we get you hooked on the good stuff for practically nothing, knowing that you'll be back for more. There are actually lots of ways to get hooked, but it's a jungle out there! I want to make sure you're well-armed as you begin (or continue) your journey into art addiction. I'll kick my column off with my 3 favorite rules about collecting. Crazy concept, right? But true. Obviously, I am partial to 20x200 as the premier purveyor of high-quality, limited edition artwork that's ridiculously affordable, but we're certainly not the only place to get this sort of thing. Check out sites like Tiny Showcase, scour Etsy for indie artisans, or let cool bloggers like Tina Roth Eisenberg, aka SwissMiss, point you in the right direction. As with many things, getting started with your art collection can be the hardest part, but once you dip your toe in... watch out! Set a goal, and create opportunities to reach it. Say you're going to have 3 pieces of art work by the end of the year, or give yourself a quarterly budget to spend, and then set an agenda for your treasure hunt. I'm a big fan of finding stuff online (of course!) but finding things in the real world can be awesome, too. Go check out an art fair that's going to have stuff in your beginner's price range. NYC has the Affordable Art Fair a few times a year, but fairs that deal in prints and/or posters often have lots of inventory that's priced in hundreds, not thousands (or, gulp, millions). Looking for something of the two-digit variety? Fear not! There are options for you, too -- the Editions | Artists' Book Fair and/or indie book fairs held in NYC in the fall always have lots of hang-on-your-wall worthy art. There are also more and more indie artists setting up shop at the cool flea markets and craft fairs that have proliferated as of late (Renegade Craft Fair, Brooklyn Flea just to name a few). Want something more mainstream that's ready to hang? 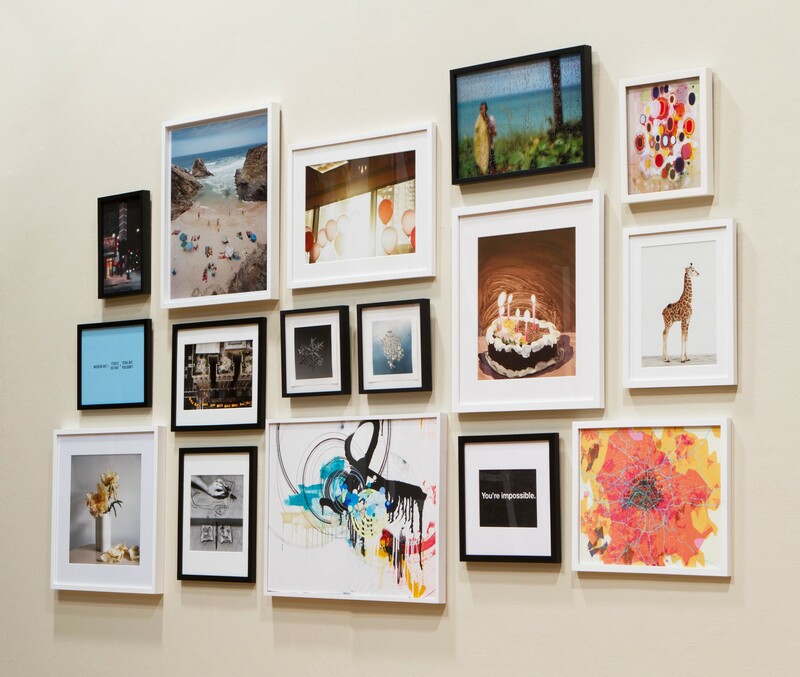 Our friends at West Elm are always featuring cool collaborations with artists of every ilk. Contrary to popular belief, there are no wrong answers when it comes to collecting art if you buy what you love. You're the one living with it, after all. Don't let the art snobs get you down!